What is a fantasy sport league? Which sport fan hasn't dreamed of managing his own team, picking out his top line-up and rising to triumph? With fantasy sports leagues, regular fans are brought into the managers shoes and given the chance to prove once and for all that they have what it takes to be head coach of a professional team. Below, beginners in the world of fantasy sports can find a complete guide to everything they need to know to get started on the path to glory. What is a fantasy sports leagues? How to win money on these leagues? A fantasy sport league is a game where participants act as the owners/manager of a team and compete against other owners based on the statistics generated by the real individual players. 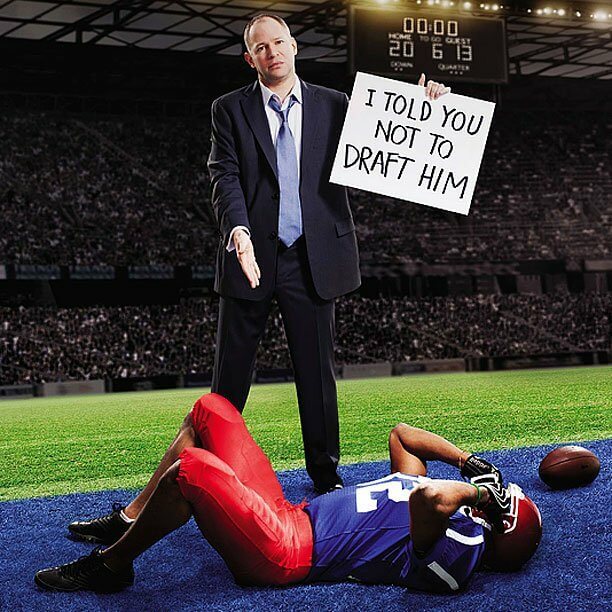 In fantasy sports there is the ability to trade, cut, and sign players just like a real owner. Fans can use their knowledge of their favourite sports to compete against each other either for fun or for money. The goal is to select which athletes or teams will have the most impressive performances during a given season. Each season, owners start from scratch selecting their own dream team. In order to be successful it is helpful if participant has studied or even followed their chosen sport before selecting. However, websites offer statical information on each player such as endurance, speed, goals/point scored, agility and more. This can then be used by participants to make strategic decisions in order to choose the best possible players. Participants need the business mentality of a general manager, the knowledge of a pro scout, and the strategy of a head coach which makes the game complex, interesting and fun. Today you'll find a vast number of different leagues for a huge variety of different sports. As most online leagues differ in scoring, drafting and team selections, it is important that participants carefully consider which leagues they are entering and how they should begin building a team. Below are the main types of leagues and a quick explanation on each. This is the most common type of league. Re-draft means that each season, owners will start from scratch each season preparing and choosing their dream team. Rosters are drafted in snake order draft which is explained in the next section. This takes re-draft to the next level by making is more similar to real life. Keeper means you select a certain amount of players to keep going into the next year. Dynasty owners can keep an entire roster for the next season. These leagues keep most or all of the players on a team, and force owners to think about the future. If you're starting a dynasty league, the first draft will need to focus on setting yourself up for long-term success. In order to begin drafting your team it is important you are familiar with the most common drafting procedures. Drafting is the term given to picking players to be a part of your team. The snake draft is divided into rounds. One round for every available player spot on each team. For example, if your league has 15-man squad, your draft will have 15 rounds. In a snake draft, each coach has one pick in each round. Each team makes it's first-round pick based on a predetermined order. The team that had the first pick in the first round now has the last pick in the second round and the first pick in the third round etc. Snake drafts are commonly used because they allow for a fair and balanced draft. A auction draft works a lot like a normal auction. In most cases each player is assigned a unit value (or in some cases a buying fee) and every fantasy team has a unit budget (or in some cases a spending budget). Each team must fill each player slot without going over budget. You can bid as much as you want for a player, as long as you still have enough units left to complete the rest of your roster. If no other team outbids you, the player you put up is yours. Depending on what opeartor participants use the ‘buy in' range varies. When you ‘buy in' you are automatically betting money on your dream team to win. After you have selected your team and the season starts, players can monitor the progress of their team. Each match this virtual team wins or loses results in participants receiving more or less points. The team manager with the most points at the end of the season receives a cash reward. Note: it is possible to find sites that have no ‘buy in' requirement. All sites convert statistical performance points into value points. These are then used by the team manager when selecting the fantasy team. These point systems are typically simple enough to be manually calculated by a “league commissioner” on smaller sites. However, many of the more popular and advanced fantasy sports betting websites use analytical insights and data derived content from STATS Inc. These statistics are more complex as they are calculated by a computer algorithm based on actual games and statistical input generated by professional sports teams. In order to begin experiencing the fun of fantasy sports straight away follow these quick tips for starters below. Pick a fun team name – many players come up with creative and funny names for their teams which adds to the entertainment. These names have been the inspiration for many blog posts dedicated to the worst and best ideas. Think carefully about which type of game you enter. For example: if you intend on playing regularly the type of league where you change the roster every week might be a good choice, but if you are more casual a single line-up that remains the same throughout the season might be better. Want to learn about virtual sports betting? Why not read our article !